This week began with a release of another Hidden Expedition game in the world of casual games. 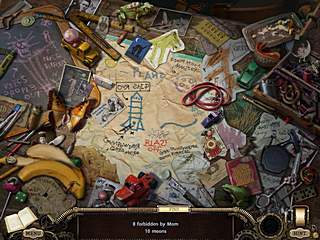 Hidden Expedition: The Uncharted Islands is a hidden object/adventure game you don't want to miss because it has everything it a more experience gamer would look for in a game of this genre. The story is a bit complicated with the world in another dimention, evil pirate, and all the trapped characters, but you have a guide to help you. I doubt any of us would want to travel to Bermuda Islands in real life, but Hidden Expedition: The Uncharted Islands gives you a great opportunity to do this in an unreal world. The game takes to those islands and unfolds before you an unbelievable and unrealistic story. You learn more and more details as you proceed through the story. The story is a bit complicated with the world in another dimention, evil pirate, and all the trapped characters, but you have a guide to help you. You will visit many locations full of weird flora and fauna and many strange characters. The game was a vivd sign of ever-growing globalisation, well, in a certain sense. The modern casual games, especially the one of this genre, try to remove any lines in between the levels. 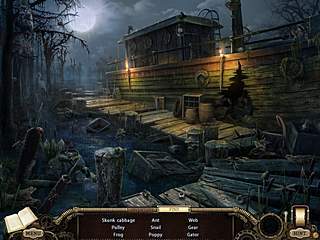 One of the new ways it happens here is that some of your items in the hidden object levels go streight to your inventory and then you are to use them somehow on the screen in order to find other items. You do have enough of interactive quests apart from that. There are also skippable puzzles along the way. The game is pretty clear wih the tasks and clues. The graphics and audio are perfectly matching the general atmosphere of the story. The game has pretty high production values to please those with higher standards. This is Hidden Expedition: The Uncharted Islands review. Download this game here.